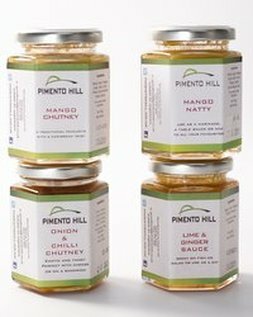 ​Pimento Hill is a small business specialising in sauces, seasonings, spices, chutneys and jellies. With the head office, showroom and kitchen based at the Malthouse, Barking, The condiment company has swiftly blossomed from its relatively small roots and currently operates from Borough Market in London. 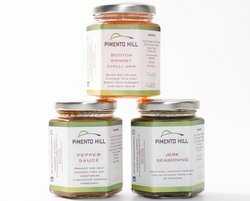 ​​Pimento Hill is an award winning condiment company specializing in 'Caribbean inspired' seasonings, sauces, chutneys, jams and jellies. 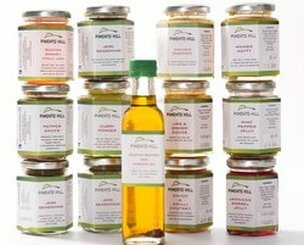 We have gone from strength to strength by standing by our ethos ‘to make our sauces and seasonings the best in taste, texture and quality without compromising on our production or our ethics'. All of our products are handmade and free from additives, dairy, gluten and artificial preservatives. We strive on bringing our unique taste of Caribbean culture to the homes of thousands. ​Each of our products has a story behind it. This allows the customer to get involved with Pimento Hill on an emotional level which means they become repeat customers. We are often told our products remind them of a fantastic holiday, a childhood memory as well as how much our condiments complement their meals.